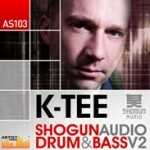 I was actually very pleasantly surprised by the announcement of the Loopmasters K-Tee Shogun Audio Drum and Bass Sample Pack. 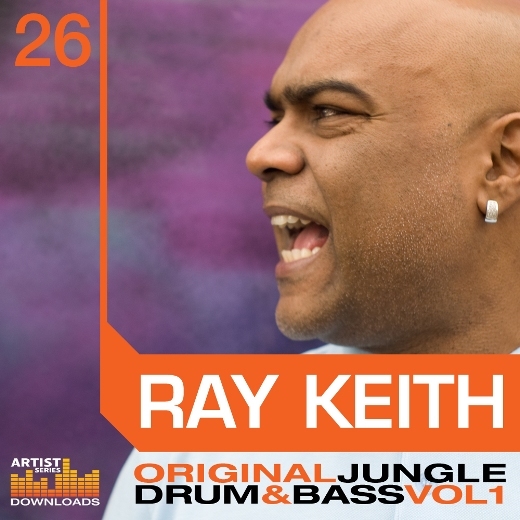 K-Tee is a well known Producer in Drum and Bass and produced loads of big big tunes! Click Here For Free K-Tee Samples! So I was very keen to get stuck in and see what goodies he was willing to share to us mere Mortals! A mixed bag of breaks here. Very modern sounding breaks but to be honest I found them to be a little harsh, especially on the snares so the trouble area was around 1/2/3k. Nothing a little EQ couldn’t fix and definitely not a deal breaker because most of the breaks are REALLY REALLY GOOD! 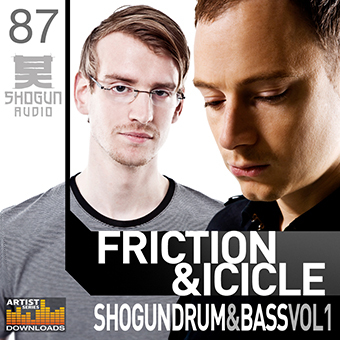 Punchy, full sounding breaks and with plenty of variety to keep you all happy no matter what style of DnB you get down with. I have to warn you though. There is a bit of “Verb” on the breaks. It helps glue the breaks together but If looking for Dry Upfront Drum Breaks this is not the pack for you. The Reverb is however “gorgeous” sounding and most people should not be disappointed! All the Perc Loops sound great. The selection is indeed varied so you get rides/congos/shakers/tambs and toms. The loops have been EQ’d and compressed properly so all you have to do is drop them into your tunes! Too easy! Synth hits and Synth Multi’s Folder- a bit hit and miss here. Some really wonderful pad sounds and then few sounds that were very uninspiring. 15 sounds is a little on the light side as well. The FX folder is a nice collection of sounds that go from bleeps to sweeps over 5 octaves on your keyboard. Perfect for adding that little bit of extra spice to your tracks. If you’re after a few extra sounds for your tech or minimal tracks this FX Patch should do quite nicely. Bass Multi – very unusual collection of sounds here. You get your clean Sub but then there’s a DubLFO, Saw and Short House stab! The sounds are a bit vanilla but thats ok. The sounds are solid though so should be perfect for adding some of your own fx like Distortion/Flanger/Phaser etc. The Bass Hits folder is where the action is at. 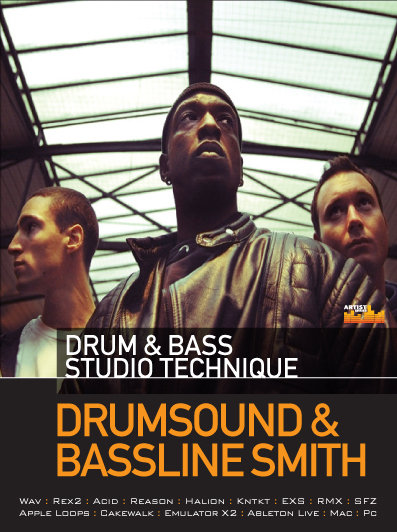 You get 5 folders of patches ranging from Old Skool Bass/Tech Bass to Tone & Kick Bass. Something for everyone in these 5 folders but the emphasis is definitley on the Reece and Tech Bass as they have the most samples. All the patches are correctly labelled with Root pitch and have plenty of modulation/movement. I’m sure you’ll have no problems getting some nice Bass loops from this folder of sounds. K-Tee has a supplied a very adequate folder of drum hits that should keep you busy for a while. 41 kicks, 30 snares and a nice selection of cymbals. To keep things brief in this review some a dry/wet/dirty/etc. Tonnes of variety so absolutely perfect for layering up on top of each other! If you needed some proof as to what you can achieve with these Bass samples then the awesome showcase of riffs in this folder should shut you up! K-Tee covers all the styles in Drum and Bass and these loops are an awesome inspiration for any body producing DnB. Study these loops! So what do I think about the K-Tee Sample Pack? Its great! Its a very modern sounding sample pack so if you’re after sounds that are currently being slammed around dance floor this is the one. The Sandy break is AWESOME! Quality Quality Quality… What do I think it needs? The sample pack is a bit light when it comes to Atmos/Pad sounds and doesn’t have any Construction kits. So if you like to get down by using Construction kits you’re out of luck. I for one think Construction Kits are great for people starting off in DnB Production but the non inclusion isn’t the end of the World. All in all I think the K-Tee Sample Pack is really well put together and well worth the cash. Check out some more info here.